Colombia has been affected by decades of conflict between the Government armed forces and various armed non-State actors (ANSAs). 2016 saw the signing of a peace agreement between the Colombian government and the Revolutionary Armed Forces of Colombia – People’s Army (FARC-EP), as well as the starting of peace negotiations with the National Liberation Army (ELN) in late 2016. However, the rejection of the peace agreement with the FARC-EP, in the referendum on 2 October, created a situation of uncertainty that will strongly define the future and shape of both processes. Although the bilateral cease-fire between the FARC-EP and the government is still in place, the ELN and government forces continued to engage in hostilities in 2016. Geneva Call has been working in Colombia since 2003, promoting humanitarian norms regarding the anti-personnel (AP) mines ban, child protection and sexual violence. In its dialogue with ANSAs, Geneva Call also tackles the participation of women in peace negotiations and advocates for a gender-sensitive approach to disarmament, demobilization and reintegration (DDR). Furthermore, in partnership with community-based organization (CBOs), Geneva Call supports affected communities requesting humanitarian mine action, including demining, in their areas. Geneva Call has engaged FARC-EP and ELN leadership and members in a dialogue on international norms relating to the ban on AP mines, child protection, the prohibition of sexual violence, and other humanitarian norms. 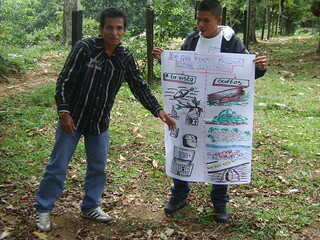 ELN has taken measures to reduce the impact of AP mines on civilian populations. The ANSA has also demined some areas and showed a willingness to facilitate humanitarian demining in other areas for the benefit of the civilian population. 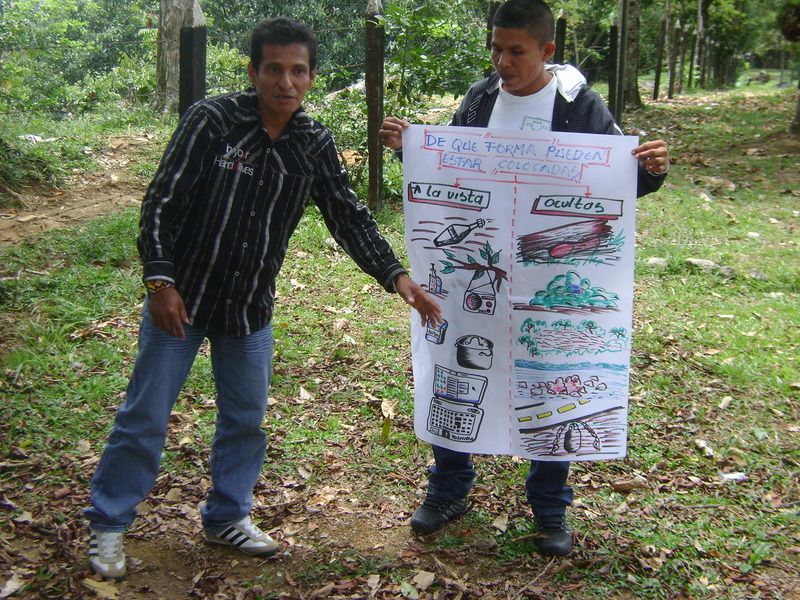 Six indigenous communities in Cauca, Nariño and Putumayo departments improved their safety by integratin gmine-risk education (MRE) into their daily lives as a result of a four-year project covering around 17,500 people. Geneva Call has engaged the FARC-EP on the prohibition to recruit children and on the necessity for humanitarian demining. In early 2015, the FARC-EP increased the recruitment age to 17 and signed a humanitarian agreement to demine contaminated areas with the government. 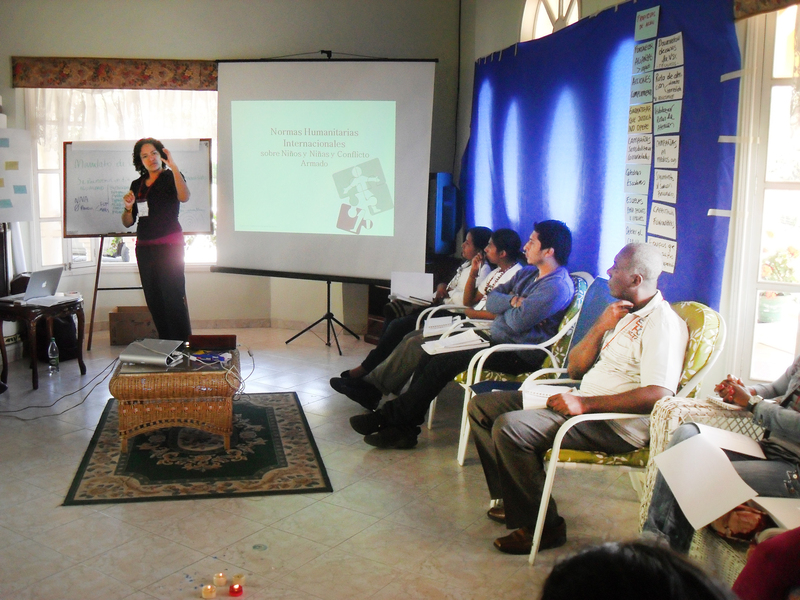 Following a pilot training session on humanitarian norms in 2013, nine ELN commanders in Bellavista prison, Medellin, refreshed/enhanced their knowledge in 2014 during a session on transitional justice and DDR. 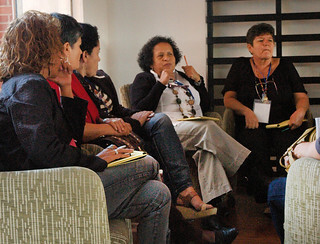 In 2014, former Colombian female combattants shared their experiences of their respective collective DDR processes: through specific written recommendations to the government and the ANSAs about them as well as in the framework of a meeting with the FARC-EP organized by Geneva Call in La Havana, Cuba. 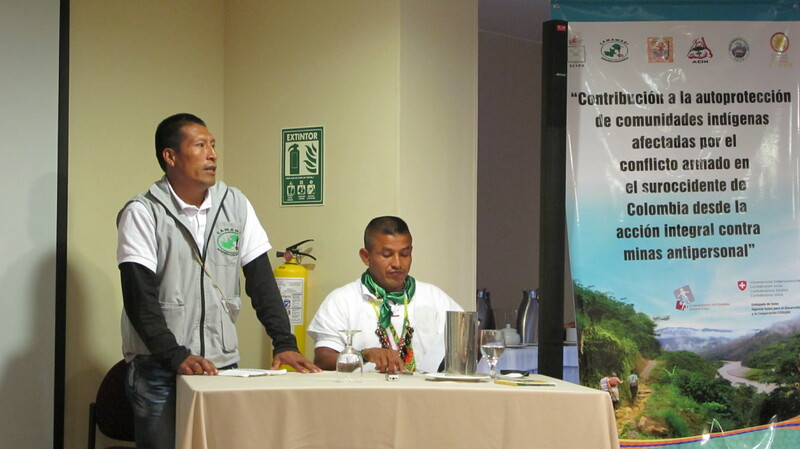 In 2015, a first area in the Antioquia department was cleared of mine/explosive remnants of war (ERW) after the Colombian government and the FARC-EP signed a pilot humanitarian demining agreement. 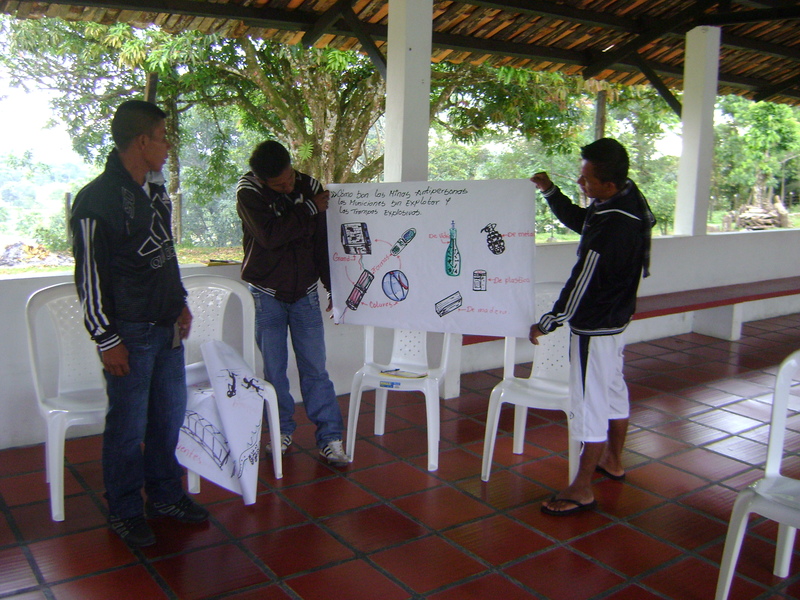 In 2015, the FARC-EP raised its age limit for recruitment from 15 to 17 years old and prepared a draft DDR protocol for children.